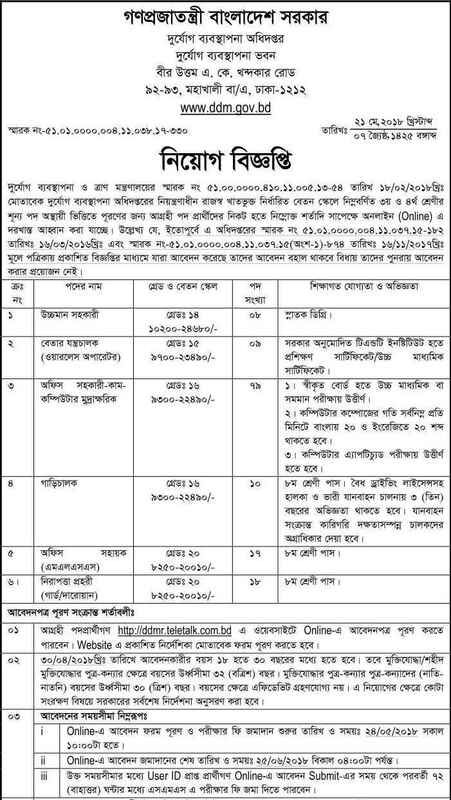 Department Of Disaster Management (ddm) published New job vacancy Notice at www ddm gov bd. DDM Job Circular offer total 141 New vacancy in this post.Graduate Student also apply this DDM govt circular 2018. This entry was posted in Govt Jobs 2019, Graduate Jobs, JSC Pass Jobs and tagged Govt. jobs by Raju Ahmed. Bookmark the permalink.